Earlier this week LG Display showcased two new 18-inch displays, one that is a flexible OLED panel that is flexible and rollable like a newspaper as well as one that a transparent OLED panel. LG says the displays shows that the company has already acquired fundamental technologies that will lead to the availability of large-sized flexible and transparent display reaching the market, potentially as soon as 2017. The flexible OLED panel has a high-definition class resolution of 1200 X 810 with almost 1 million mega-pixels. The panel’s curvature radius is 30R. The panel can be rolled up to a radius of 3cm without affecting the function of the display. This proves that LG Display can bring rollable TVs of more than 50 inches to the market in the future. As for the transparent OLED panel, it boasts 30 percent transmittance, which was achieved by adopting the company’s transparent pixel design technology. LG Display has successfully lowered the haze of the panel which is generated by using circuit devices and film components to a level of 2 percent. With this breakthrough development, the company has been able to improve greatly the technology level of the transparent display. Considering that the transmittance of existing transparent LCD panels is around 10 percent, this new panel offers significantly improved transmittance. “LG Display pioneered the OLED TV market and is now leading the next-generation applied OLED technology. We are confident that by 2017, we will successfully develop an Ultra HD flexible and transparent OLED panel of more than 60 inches, which will have transmittance of more than 40 percent and a curvature radius of 100R, thereby leading the future display market.” said In-Byung Kang, Senior Vice President and Head of the R&D Center at LG Display. Flexible displays certainly aren't new. Samsung and LG both originally revealed a flexible smartphone style screen at CES 2013. Since the both companies have been working on curved displays for not just their phones but TVs as well. Apple has even been rumored to be looking into adding a rolled or curved display to the latest iPhone. This however, is one of the first times we've seen any flexible displays of any real decent size or quality. It should be interesting to see where the tech leads us and how far it will evolve over the next few years. 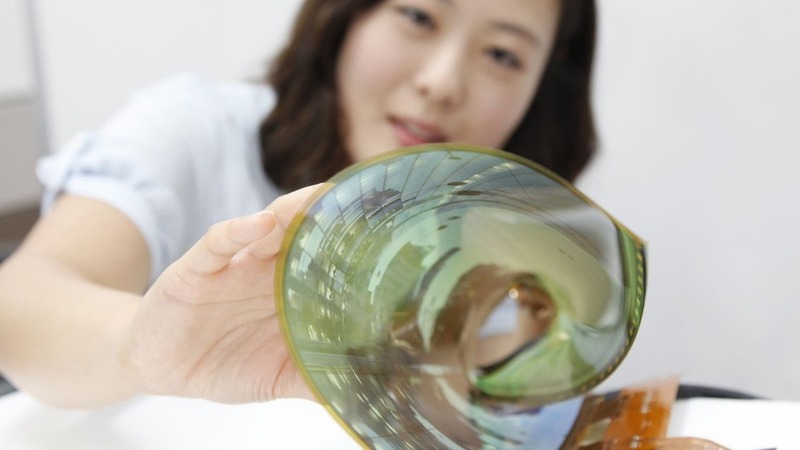 Flexible transparent tablets would be ideal. A smartphone you could roll-up and stuff in a pocket would also be cool!